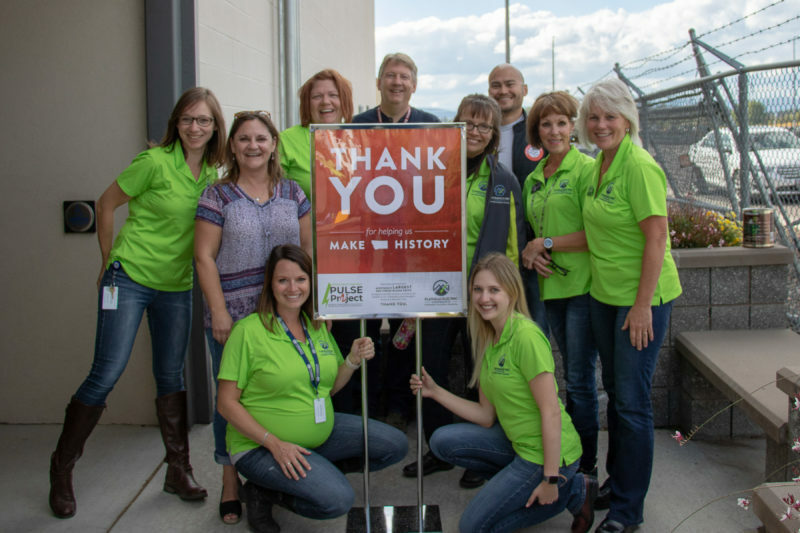 With a mission to support our community, Flathead Electric Cooperative hosted Pulse Project on September 13 and 14, 2018. Our goal was to host the largest Red Cross Blood Drive in the history of Montana. And thanks to the support of our generous members, we did it! Blood Donations: September’s drive brought in 139 pints to help meet the emergency need for blood here and across the country. (The previous record for a Red Cross Blood Drive in Montana was 134 pints.) Thank you to our members who helped us to make Montana history! Energy Assistance: Additionally, we collected pledges from businesses and individuals based on the number of pints of blood donated during September’s drive. Through the generous contributions of our sponsors, we were able to raise over $13,000! These funds will be used to provide energy assistance funding to Flathead Electric members who are experiencing temporary financial burdens due to unexpected life circumstances. To those of you who made these essential contributions, please accept our heartfelt gratitude, and know that you were part of something very special. Who receives energy assistance through Pulse Project funds? An elderly woman came into the Co-op recently. She has a history of paying her bills on time every month; however, she couldn’t afford just this one month because she had to purchase some new medication, and would need to choose between her electric bill and her medication. She was looking to work out a payment plan with our staff, but we were able to help her pay her bill for the month. She left in happy tears. A man and his wife both had good jobs and were enjoying life with their four children, when the wife suddenly fell on ice at their home this winter, suffering severe injuries that required surgery. She was unable to work for months, drastically reducing the family income. The couple, who had always been able to pay their bills, were thrust into a temporary financial crisis. The husband came to visit FEC—not to ask for help but to work out a payment plan for that month’s electric bill—and we were able to give him a hand up. We were grateful to be able to provide some support and aid in getting these local families through difficult times with the fund that the Pulse Project will provide for. Many of us could find ourselves in an unexpected situation like one of these. Your support of the Pulse Project will help us create more happy endings!